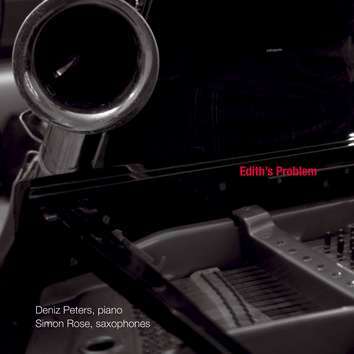 What is Edith's Problem? What does this title mean? Deniz Peters: "A hundred years ago, Edith Stein engaged in deep philisophical thought about empathy — the human capacity of becoming aware of another 's feelings — revealing her insight in a book called The Problem of Empathy".. Stein describes empathy as being different from intellectual understanding and from impersonal and involuntary affective contagion. Empathy is a crucial component of listening. Without empathy, we would not hear musical expressivity. The music of Deniz Peters (piano) and Simon Rose (saxophone) is a perfect demonstration of this philosophical point when their music becomes one instrument, one voice.